Anyone installed TL Smoothers on their max v2 rambo? Hey everyone its been a while since ive been on here. I was recently speaking with a friend who bought and built a tevo little monster delta. He was asking me about upgrades and was wondering if i had used tl smoothers. I had no idea what he was talking about so i looked into it and decided for the price it couldnt hurt to check them out. These are the ones that i purchased (https://www.amazon.com/gp/product/B071W ... UTF8&psc=1). When i went to install them the jumper wire connector didnt match that of the rambo so i need to get some new connectors. Has anyone on here installed a set of these or similar on their max v2? Im just curious if i need to just clip the connector off and put on a new one or if i have to change the pin configuration. Any advice would be super helpful! Re: Anyone installed TL Smoothers on their max v2 rambo? If you are just interested in the cable, that is easy you can find many kinds of stepper cables on ebay. The following explains wiring and coils a bit and it talks about how to rewire and repin them. It looks like these boards MIGHT contain a rectifier of some kind because I think I see 8 diodes on the board so this is a guess. I see some TL smoothers with 4 diode, You can look at the board and figure out how the diodes are arranged. I would want to know WHAT the TL smoother is... Without seeing the board it is just a guess on my part. You could even solder diodes right into the wires if you wanted to and get the same effect. My guess is that, the device you purchased makes sure there is no current going in the wrong direction (induction), and thus it smooths the signal. This site has a waveform comparison - https://www.trianglelab.org/3931-2/ The cost of doing this is the "forward voltage" of the diodes (you are going to lose voltage to the steppers) and perhaps some heat. What effect would some unknown reduction in forward voltage have in stepping? I don't know; perhaps you could tune current in software; or it might be an immaterial amount of voltage loss. Or you could look at the "data sheet" of the diodes and the amount of loss might be immaterial. Or you could just try the "device," plug and play cables will be an advantage as opposed to something more permanent. Upgrading to a Duet board might be a good value for a bunch of reasons including a better processor and more advanced stepper drivers. I have a V2 that has been upgraded quite a bit but it still has the original electronics. Let me know how your upgrade goes; I would like to know how they worked! As a matter of coincidence, and I have a bridge rectifier circuit in a bin which I have been refining. The two bridge rectifiers were eight diodes in the previous iteration of my project. 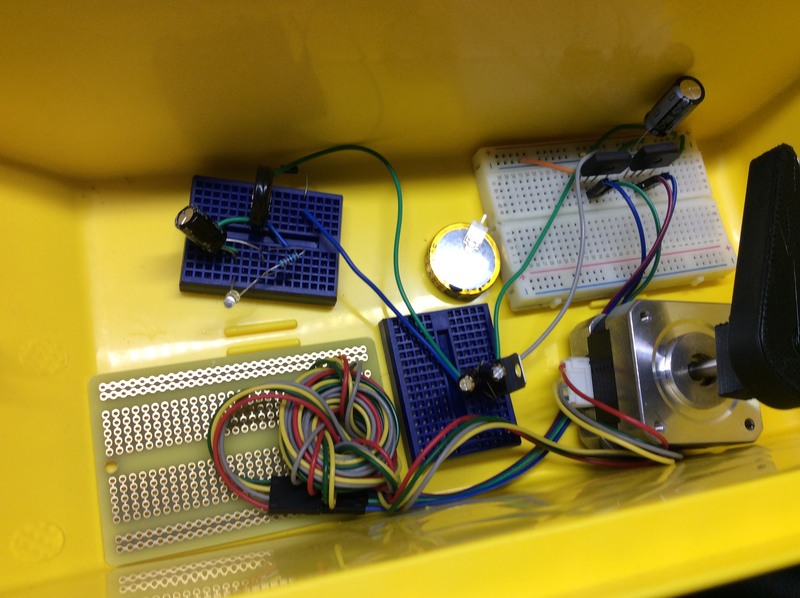 I turn the stepper motor, each coil goes into a rectifier and then the rectifier outputs positive and negative, I smooth with a capacitor, I then limit the voltage out which flows into a supercapacitor, which in turn drives a led for a long time. Every time I cross a diode I lose voltage. 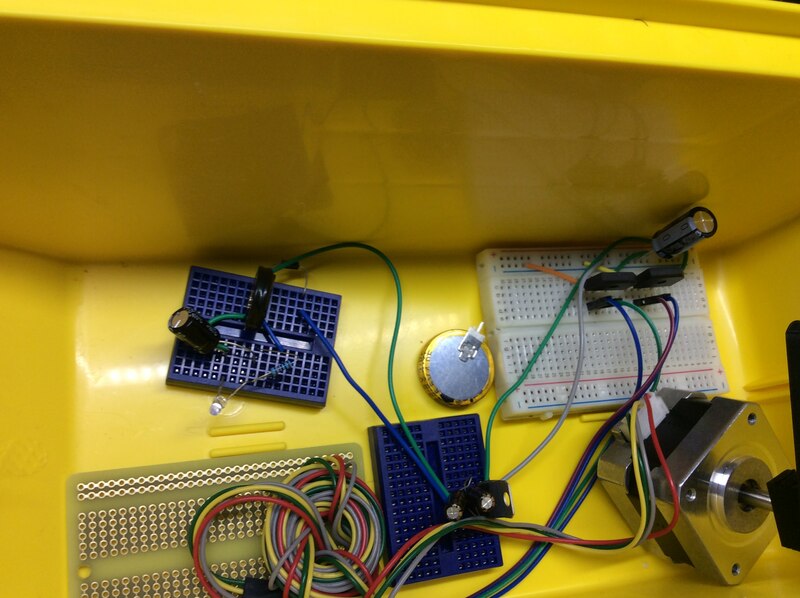 If you look at the image there are six pins to the stepper but only four wires. These "smoothers" are just a band aid to fix a motion issue that people were having with a specific board/driver because they needed to drop the voltage. Only use them if you have the symptoms that they were created for, it's a fix not an upgrade. Thank you guys for all the useful information!